Physiotherapy aims to reduce pain, increase muscle mass and improve gait patterns through the means of manual therapy (massage and stretching), electrotherapy and devising a suitable, remedial exercise programme for your pet. Massage is one physiotherapeutic technique which is highly beneficial for maintaining correct muscular tone, mass and increasing blood circulation. Massage is best performed in a quiet safe environment where the animal can relax – tutorials can be given at the surgery or alternatively, home visits are available. A 1 hour appointment studying the static and dynamic movement of your pet, followed by muscular palpation, assessing the ease of joint movement and devising a suitable remedial exercise programme. 30 minute appointment to check how your pet is progressing, along with dynamic assessment, muscular palpation and altering your exercise programme accordingly. This includes a Physiotherapy 1st assessment (1 hr appointment) and 3 further Physiotherapy follow-up appointments. Home Physiotherapy appointments are also available – please enquire for pricing. A 30 minute home visit, performing massage and demonstrating techniques for owners to carry on with at a regular basis. Laser Therapy is safe, pain-free and fast treatment taking between 2-7 minutes to perform. Typically patients will exhibit improvements after 3-5 treatment sessions. 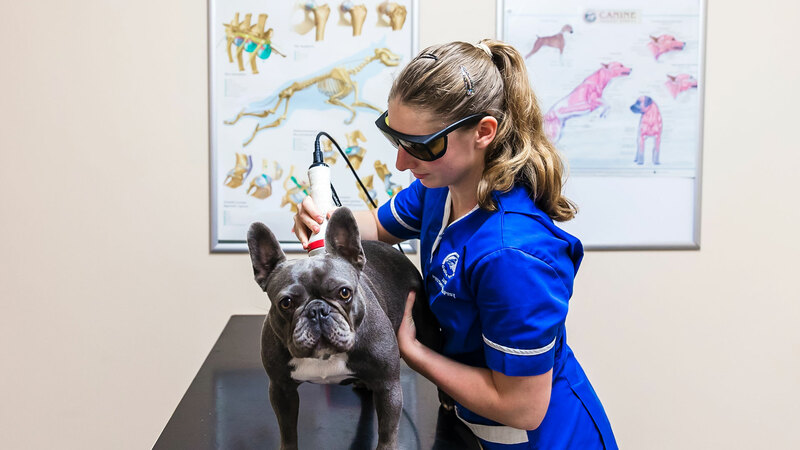 Laser Therapy sessions may be required for your pet a the physiotherapist’s discretion. Booking an appointment is easy and can be made by the referring veterinary surgeon or pet owner. Physiotherapists work on a veterinary referral basis only. It is a legal requirement to have veterinary consent before a Veterinary Physiotherapist can assess and treat your pet. 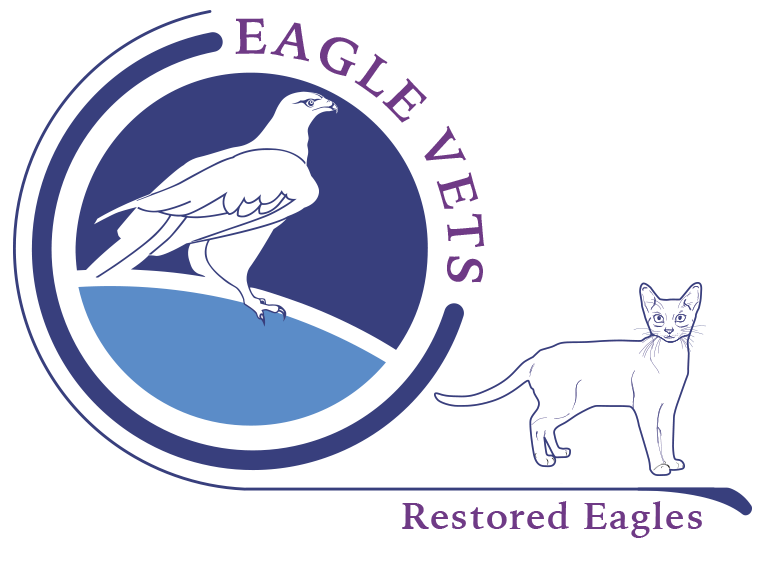 If you are currently already a client of Eagle Vets, this can be sorted in-house, otherwise, veterinary referral forms are available at our reception. Our commitment is ensure that your pet will receive the highest possible standard of veterinary treatment whilst under our care. We encourage all our clients to take out pet insurance for their pets as this can be handy in the event of large unexpected expenses. We would be happy to deal with direct insurance claims (conditions apply) and we complete all insurance claims for our clients free of charge. We are a comitted team with a special compassion for pets and their owners. We will always treat our clients in a professional manner. As a family-run business we pride ourselves that we will always be honest and transparent. We do not hide anything behind the scenes and therefore invite any owner to visit our premises for a free guided tour!